The metal tariffs imposed by Donald Trump are already hurting automakers like Ford. Ford CEO Jim Hackett says that his company has suffered huge losses thanks to the tariffs and it’s probably not going to get better if the trade disputes don’t let up. 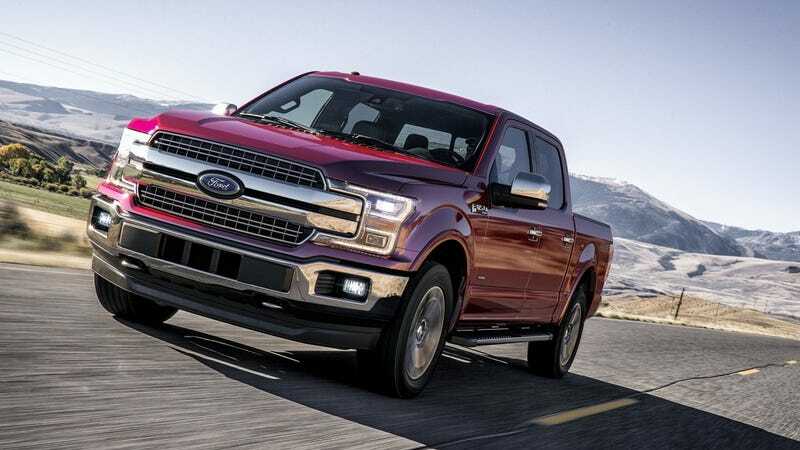 Specifically, Ford purchases 95 percent of its steel and 98 percent of its aluminum from within the United States, writes Automotive News reporter Nick Bunkley. The tariffs on Chinese metals have allowed American producers to jack up their prices for lack of competition. Ford previously announced that it will phase out all its small cars and sedans in North America, except for the Mustang and the upcoming Focus Active. Ford has since canceled the Focus Active in the U.S. because of tariffs on cars imported from China however. Right now, the future lineup of the American automaker is unclear. Analysts estimate a 29 percent drop in profit for Ford this year, reports Bloomberg. The automaker has started on an $11 billion restructuring endeavor to pad its margins, as well as investing in electric an autonomous car tech. Earlier this year, Ford said that it wouldn’t raise prices “in an effort to sustain its business momentum”—for now. That’s key, since the cost of tariffs are nearly always passed onto the consumer. Fun times to be had for all.